We are offering to our clients, a high quality range of steel and plates made of stainless steel conforming to ASTM/ ASME A/ SA 240. Grade: 304, 304L, 304H, 309S, 309H, 310S, 310H, 316, 316H, 316L, 316 TI, 317, 317L, 321, 321H, 347, 347 H, 409, 410, 410S, 430. These finishes are ideal for various applications within the architectural, engineering, machinery, refrigeration, elevator and transit sectors. We are offering a wide gamut of Stainless Steel Perforated Sheets in global markets. The suitability of our manufactured Stainless Steel Perforated Sheets with various industrial applications, made them hugely popular among clients. 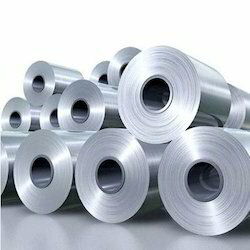 We are engaged in providing an exclusive variety of Stainless Steel Coil. Our professionals able to provide stainless steel coils that are applicable to various industrial and other uses. These coils available in varied dimensions as to meet the requirements of the customers. 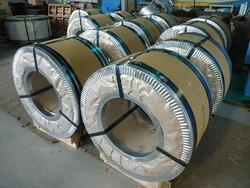 Within the short time period, we are engaged in presenting an excellent grade of SS Coils. At our end, these coils are manufactured using quality stainless steel alloy and advanced technology. In addition, these coils are manufactured using advanced machineries and technologies. These coils made from the high grade stainless steel used in developing wires and devices. In fact, the coils can be made available in various shapes and sizes on clients’ demands.